Leading VoIP application Skype has finally arrived on the iPhone, indirectly via Israeli company, Fring. 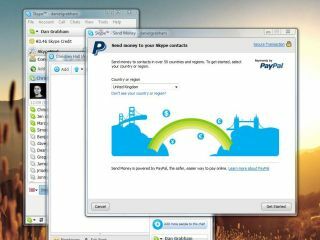 Fring is not (yet) approved by Apple, so you will also need an unlocked iPhone to make use of Skype via Fring – a useful service which will also allow you to access MSN, Google Talk and AIM through one handy interface. "OK. So if you’re one of the first lucky *#@$%&s to get your hands on an iPhone, you just got even luckier. We’ve just made a special pre-release R&D version of Fring for your iPhone - a mobile VoIP app publicly available for the iPhone?…yep that’s a world-first!" reads a post on Fring’s blog. To find out more you might want to head over to the Fring blog.